Microsoft caused quite a stir last year when it announced the purchase of Skype for an eye-watering sum total of $8.5 billion. Some touted the sale price as grossly overvaluing of the company – one owned by eBay of course – but when one considers AOL paid 800 million bucks for Bebo, anything looks like a steal in comparison. Since making the acquisition of the VoIP telecoms company official, Microsoft has been working hard to integrate it into as many of its products as possible. 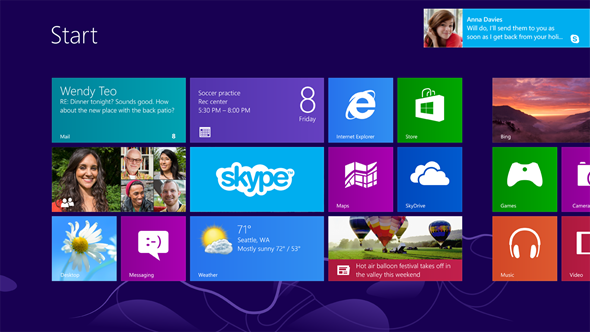 With Windows 8 being the Redmond-based company’s most important product of recent times, it was always inevitable a Windows 8-tailored version would be available from fairly early on, and that has indeed turned out to be the case. The software maker’s Skype app for the new operating system offers deep integration including extended Live Tile support, while also intertwining with People Hub – linking a friend or associate’s Skype address to the rest of their contact details. When calling using the Windows 8 edition of Skype, the features on offer go a little above and beyond what many have become accustomed to. Your Skype and Microsoft account can be linked up so that when you log in using your Microsoft ID, you’ll already be signed into Skype also. 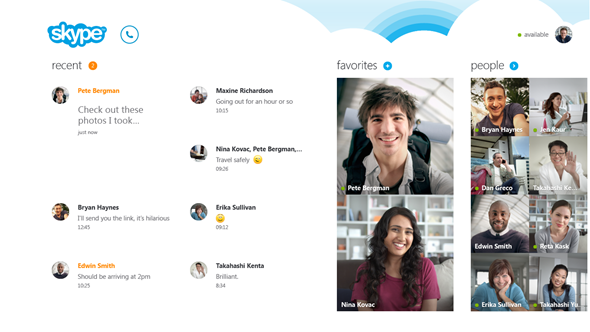 The ability to customize the experience to suit the way you use Skype is a commodity Microsoft hasn’t overlooked, and you can, for example when in-call, go full-screen with video chats, and should you receive any messages during that time, they’ll pop up as bubbles along the side. 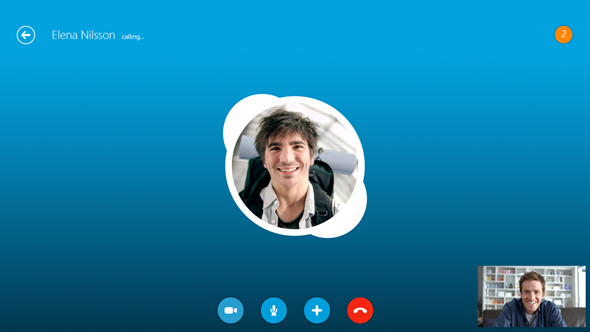 You’ll easily be able to swipe and check out any other Skype goings-on while in this full-screen mode, so if you’re talking to several people at once, you can still enjoy video calling to the maximum capacity of your display. 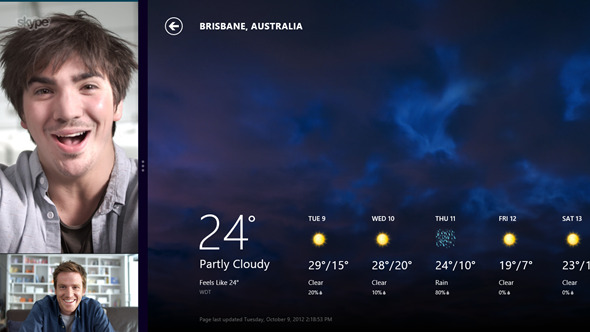 We’ll obviously be able to get a close up of the app when it releases to the Windows Store on October 26th, a day after the public release of Windows 8, but the signs are certainly positive. 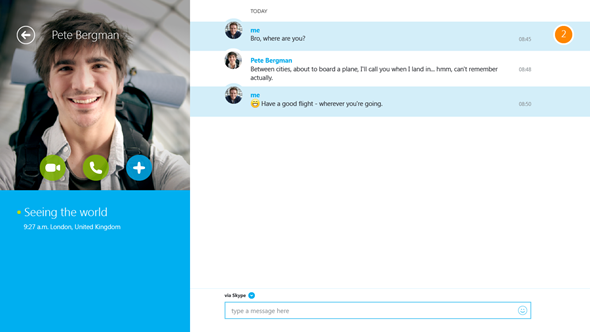 Skype remains the service of choice for those communicating over long distances, and although there are plenty of services vying for a chunk of the market, Skype’s powerful feature set will see it remain a dominant force moving forward.